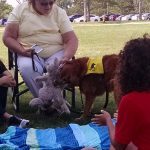 On September 10, eight teams of PAWS of CNY volunteers attended the Fall De-Stress Event at the State University of New York at Oswego. 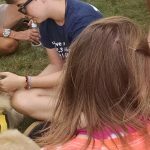 Volunteers and their certified therapy dogs interacted with about 200 students in the shade of a big tree in front of Onondaga Hall. 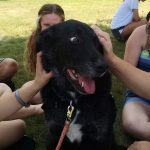 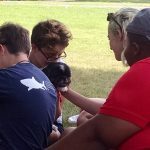 Everyone had a great time and the students had a chance to relax and de-stress with the dogs!